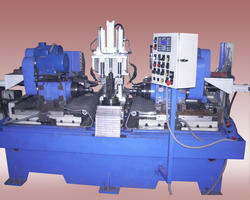 Leading Manufacturer of fine boring spm machine from Pune. We manufacture Fine Boring SPM Machine typically designed and developed to cater to the welding requirements clients from numerous automobile and general engineering industries. The machines are can be altered or modified as per the client’s specific requirement to address their typical application. We offer fine boring SPM available at competitive prices and support clients with post sales service. Looking for Fine Boring SPM Machine ?